There have been many special reports on this very topic (CBS 60 minutes, CBC MarketPlace). Our thoughts on this… Well, eyeglasses do not need to be so expensive. (unless, of course, you want to buy expensive eyeglasses!) At iLookGlasses, we believe that, eyeglasses should be well-made, they should complement your style, and they should be affordable! 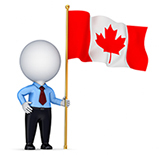 iLookGlasses.ca is a 100% Canadian owned and operated company. We have been in the eyewear business for 20+ years, with that, an extensive network of top-notch suppliers and labs. With a streamlined operation (no middle-men! ), we can offer great value to our customers. Our objective is to offer quality eyewear of all styles at an exceptional value to our customers. We strive to provide a positive shopping experience and uncompromising customer service. Our offers always come with a 100% accuracy and satisfaction guarantee. That means that, you are guaranteed to receive eyeglasses that match your order/prescription. If, however, you are unhappy with your purchase (for any reason), you can return your purchase within 365 days.